Your Vision is Our Mastery! 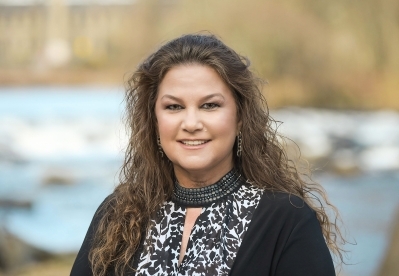 As the team leader of Ruggerio Arms & Associates, Suzann is a veteran Realtor active in Delaware, Pennsylvania and Maryland. With more than 15 years in the real estate industry she has what it takes to get the results her clients expect. She is committed to maintaining the highest of standards and strives to create customer satisfaction! "We were so happy to have had such an energetic, knowledgeable and experienced realtor like Suzann to help us find our forever-home!! She really took the time to answer all of our questions and helped keep everything to move smoothly during the entire process of buying our home." "Awesome ! Loved working with her ! Very informative especially for first time home buyers. Won't choose to work with anyone else in the future :) she took in every little detail of what we were looking for in a home including location, lot size, and a lot more ! & now we have the perfect place to start a family." "We bought our home with Suzann as our Realtor and she did an excellent job. As first time home buyers we needed a lot of hand holding and help and she was by our side through the entire process. The entire home buying process was a breeze with her as our Realtor. We even ran into a last minute incomplete repair issue during settlement and she stood shoulder to shoulder with us to make sure that the issue was resolved. I wouldn't hesitate for a second to hire her again when we sell our current house and buy another. Or, to refer her to any of our friends or family. She's dependable, knowledgeable, and truly cares about her clients."